Waste Management, Inc. (Houston, TX) is making another alternative energy play with an investment in Renmatix Inc., which is developing systems to convert refuse into sugars that can be processed into fuel. 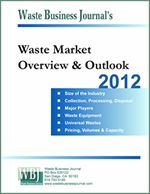 Waste Management participated in a $75 million funding round, although the specific investment was not disclosed. Renmatix is a manufacturer of bio-based sugar intermediates, an alternative to petroleum derivates for the global chemical and fuels markets. The company's Plantrose technology uses "supercritical" water to deconstruct a wide range of non-food plant material in a continuous reaction into base sugars. Under its agreement with Waste Management, Renmatix will use food scraps, construction debris and pulp and paper waste that Waste Management collects in urban areas as a feedstock for its cellulosic biofuel process. The agreement expands on Waste Management's investments in at least eight other ventures that are developing systems to convert waste into fuel, electricity or higher value products. Earlier this year, the company estimated that the 112 million tons of waste it collected in 2011 would be worth more than $40 billion if it was all processed into energy. "This collaboration is a continuation of our commitment to extract the value we see in waste and convert it into valuable resources," said William Caesar, president of Waste Management Recycling Services. Waste Management, Inc. (NYSE: WM), the leading provider of comprehensive waste management services, and Renmatix, the leading manufacturer of biobased sugar intermediates for global chemical and fuel markets, today announced they have entered into a joint development agreement (JDA) to explore the feasibility of converting post-consumer waste into affordable, sufficient-quality sugars for manufacturing biobased materials. The strategic investment and alliance aims to expand the feedstock flexibility of Renmatix's proprietary PlantroseTM process beyond rural biomass to include materials derived from cost-effective and readily available urban waste material such as that managed by Waste Management. "This collaboration is a continuation of our commitment to extract the value we see in waste and convert it into valuable resources," said William Caesar, President, Waste Management Recycling Services. "We are working with Renmatix to further scale its technology, which has quickly emerged as the lowest-cost conversion method for producing the biobased sugar intermediates demanded by global markets." This deal is the first-of-its-kind for Renmatix and is anticipated to generate immediate revenue for the company as it investigates viability of these new feedstocks. Under the agreement, Renmatix will explore multiple waste streams currently collected and processed by Waste Management and its service subsidiaries, including: source-separated recyclables, food scraps, construction and demolition debris, and pulp and paper waste. The JDA aims to determine how these materials can be reduced to sugar and leveraged for production of renewable chemicals and fuels. "Creating a JDA with Waste Management is an example of how we are working to extend our technology platform to meet industry demand. This initiative has the potential to harness post-consumer biomass from urban communities as a source for cellulosic sugars," noted Mike Hamilton, CEO of Renmatix. "Together we are exploring a new pathway to renewing waste. If this approach proves compatible with the Plantrose process, it effectively expands our basket of available feedstocks and increases our footprint to serve the market for low-cost petrochemical alternatives." Renmatix's Plantrose process uses "supercritical" water-a state in which water acts as a solvent-to economically and efficiently deconstruct a wide range of non-food plant material in a continuous reaction down to the base sugars that enable a high-volume, low-volatility renewable material. One of the core cost advantages of Renmatix's water-based process is its feedstock flexibility. Using very little consumables in rapid reactions, Renmatix can convert a variety of non-food biomass into the building blocks of the bioeconomy. Renmatix is the leading manufacturer of bio-based sugar intermediates, an alternative to petroleum derivates used in the global chemical and fuels markets. The company's proprietary Plantrose™ process challenges conventional sugar economics by cheaply converting cellulosic biomass - from wood waste to agricultural residue - into useful, cost-effective sugars. Renmatix's supercritical hydrolysis technology deconstructs non-food biomass an order of magnitude faster than other processes and enhances its cost advantage by using no significant consumables. Renmatix is privately held, with operations in Georgia (USA) currently capable of converting three dry tons of cellulosic biomass to Plantro™ sugar per day, and a world-class technical center in Pennsylvania (USA). For more information, visit www.renmatix.com. Waste Management, Inc., based in Houston, Texas, is the leading provider of comprehensive waste management services in North America. Through its subsidiaries, the company provides collection, transfer, recycling and resource recovery, and disposal services. 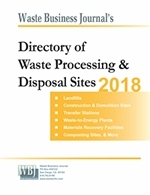 It is one of the largest residential recyclers and also a leading developer, operator and owner of waste-to-energy and landfill gas-to-energy facilities in the United States. The company's customers include residential, commercial, industrial, and municipal customers throughout North America. To learn more information about Waste Management visit www.wm.com or www.thinkgreen.com.